Teacher's & School/ Colleges' Performance. Cloud-based: No servers to buy, no software to install, no IT headaches. Vision to empower Indian educational institutions. 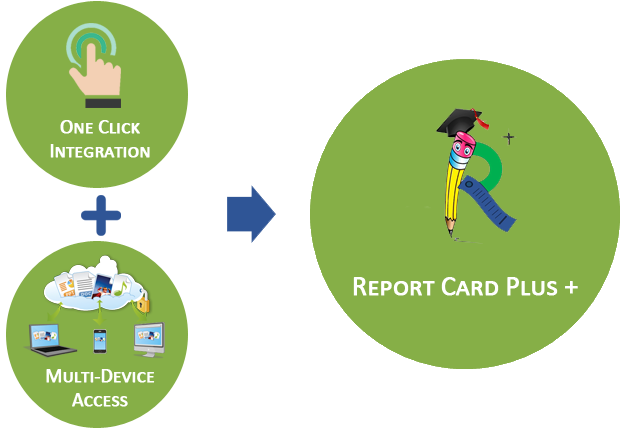 Report card plus is the next generation Digitalization system for Indian Schools. Away from the traditional technique of PTMs this revolutionary new world of virtual report cards, is here with it's dual beneficiary technique. It's an augmented tool for better parent - teacher interaction, so that the performance of a student is not hindered at any cost. 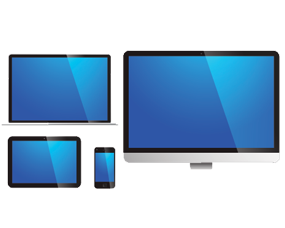 The system is very user- friendly & convenient for Parents, Teachers & School. The messages from teachers to parents are now no more at stake by being or lost from the pages of diaries. Easy online school management system for schools, students, teachers & parents. Bridging the gap between schools and parents. Access to the app is simple and easy. Following basic steps it helps bridge the gap between the teacher and a parent communication. The meet requirement is minimized. Also it acts as a constant performance chart for both the parties to track the student's yearly performance and records as well. The teacher records the marks and updates the same using the app; parents then can access the account and check the marks online. 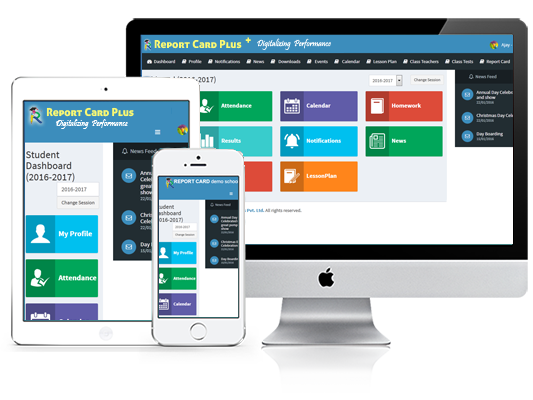 Why Report Card Plus+ ? Featuring the ultimate tool for Indian educational institutions. 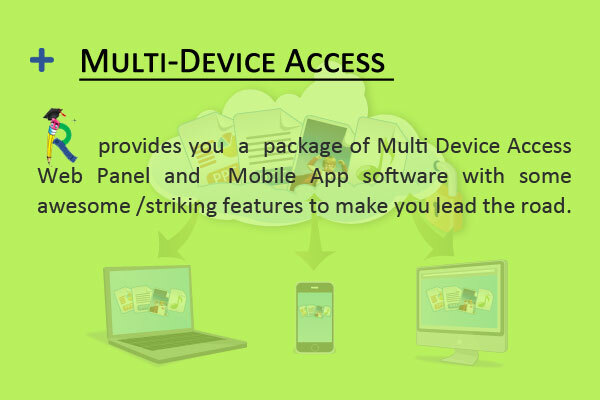 Complete bundle of School Management Software, School Web Panel and School Mobile App. 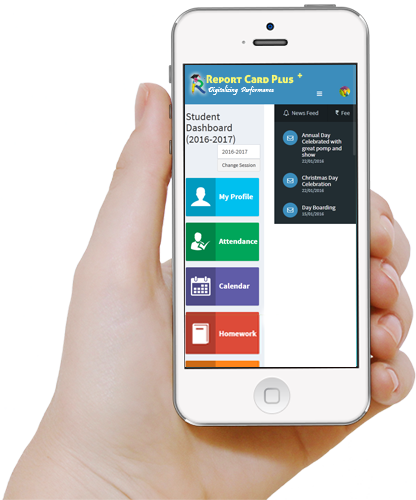 Efficient & intelligent management of student reports! 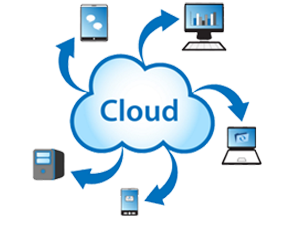 +) Cloud based web panel with amazing features like Timely Notifications & Detailed Reports. There is something in the store for everyone! 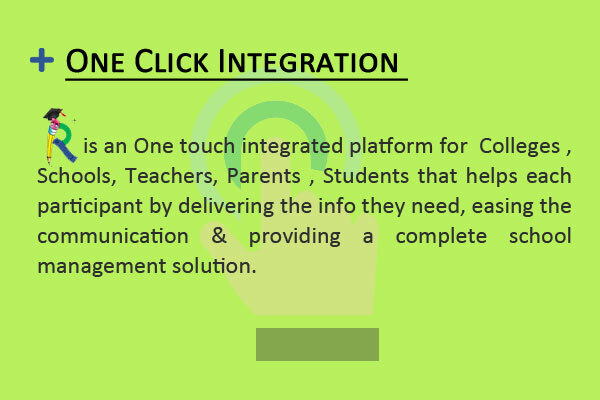 It is an intelligent and efficient way towards student, staff and parent communication. It has to something to offer to everyone. 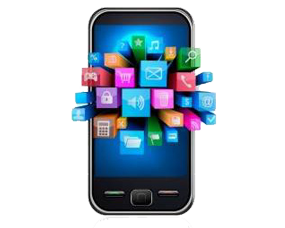 Automatic SMS/ E-mail alerts for low-high grades, absences or tar dies. View the School Calendar-the events and holidays. Hey it's easy, Take a look ! Sounds simple, get the app. It is simple and smart way to connect. It is a one-touch solution for a child's bright future. 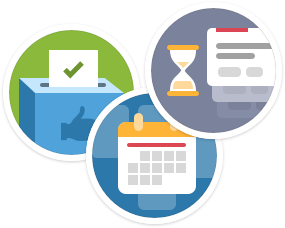 • Have access to results and attendance sheets. Copyright © 2015 Report Card Plus.